Is there a better alternative to LightDisk? Is LightDisk really the best app in System category? Will LightDisk work good on macOS 10.13.4? 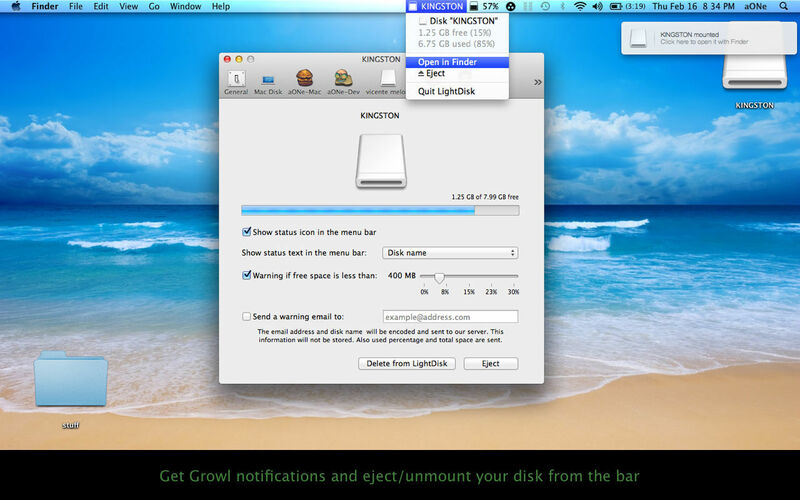 LightDisk is a little application that sits on your system bar, near the clock. With this application you can forget about check your disk space, it will check automatically for you and advice if you're filling it. LightDisk is a simple application designed to help you keep your disk light.